If you are considering making a musical instrument for a science project, you might want to try making a homemade bugle. The way in which you can produce various pitches with this "instrument" resembles the mechanics of actual instruments in the brass family. Making a bugle is a fun project that only requires a few materials and is relatively simple to construct. Cut off one of the ends of the water hose. Make another cut all the way through the hose about 30 inches from the first cut. Double the section of hose you cut so that it forms a loop with a few inches of hose sticking off either end. Wrap some duct tape around the top of the loop (where the hose crosses itself) to secure the hose in this shape. 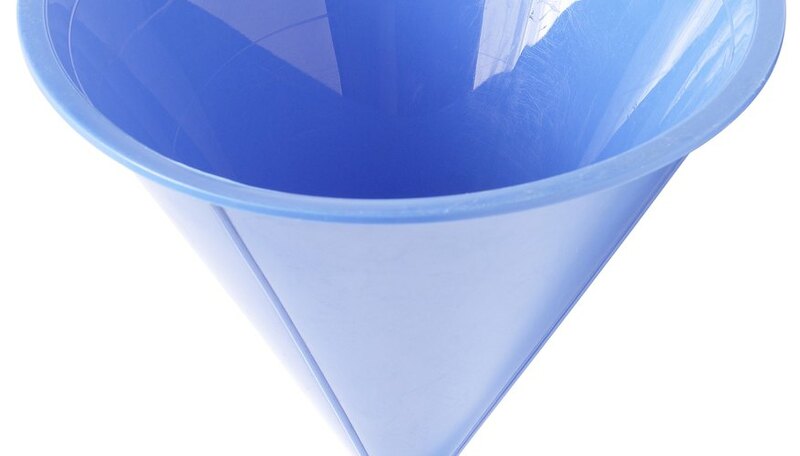 Place a plastic funnel into one end of the water hose and tape it with duct tape to secure it. This will serve as the "bell" of the bugle. The other end will be the mouthpiece. You can insert an actual trumpet mouthpiece into the mouthpiece end, but it isn't necessary. Hold the loop where you taped it with one hand and the mouthpiece in the other. Place your lips onto the mouthpiece and buzz them together as you blow in order to produce various tones with your bugle. Decorate your bugle with markers, paints or stickers if you wish. The more tightly you purse your lips, the higher the pitch will sound, and the more loosely you purse your lips, the lower the tone will be.